How did you first hear about Salem State University? What made you decide to go here? I am from Vietnam, a small and beautiful country in Southeast Asia. I came to Salem State University in 2014 after transferring from Bunker Hill Community College. I was studying in a banking university in Ho Chi Minh city back to my home country before I decided to come to Salem State. Honestly, Salem State was my first choice of destination to pursue my bachelor degree after I did some research online and the suggestions from my cousins who lived in the US. However, because of some visa issues, I switched to another school. 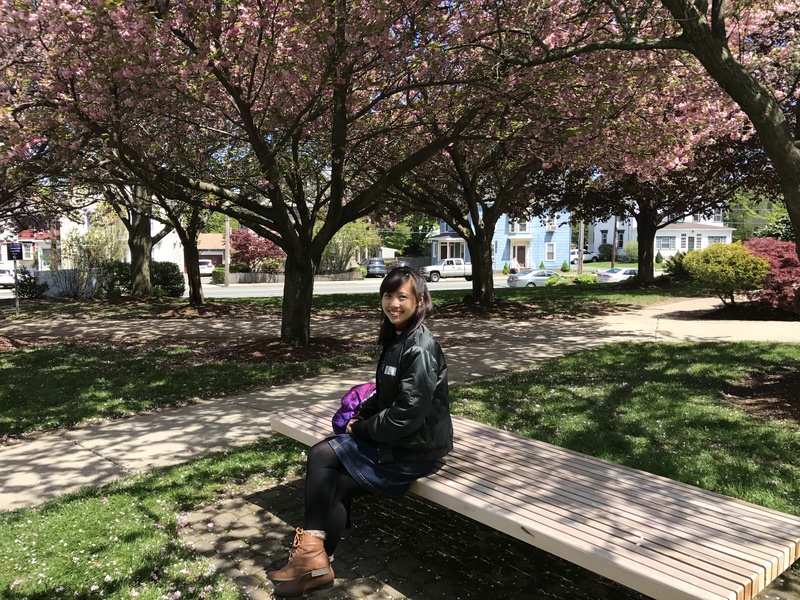 But I think I belong to Salem State because right after I came to the US, my cousin, a former student of Salem State, recommended it and helped me to transfer. The Center for International office at Salem State helped me a lot with the transferring process. How does Salem State University support your goals? Coming from another country, I faced with many difficulties at first such as cultural shock, language barriers, home-sickness and academic differences. But Salem State staff and professors did help me a lot to be confident and to adapt with the new environment. My advisor in CIE gave me a lot of useful suggestions to pick reasonable classes that I can handle. Many clubs and organizations on campus also brought me many new friends which are mainly international students who are in same boat so we can share and help each other in studying and life. I never thought that I would major in business but after experiencing Salem State University's educational environment and coming to an open house as well as some orientation events, I decided to be a business student. I am not sure what I want to do in the long-run but right now I think I am doing well and excited about studying business.